Kim crossed the Demilitarized Zone early Friday morning into South Korea for the historic meeting. It marked the first time a sitting North Korean leader has entered South Korean-controlled territory since the Korean War. 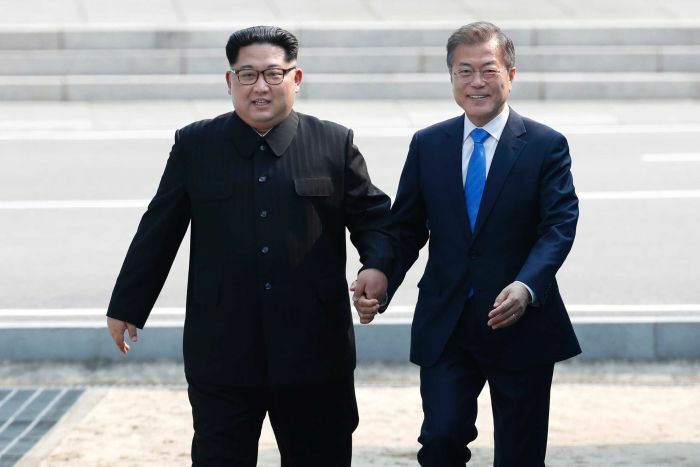 The two leaders shook hands across the border line as Kim Jong Un stepped into South Korea. This meeting between the Koreas has been highly anticipated and eagerly observed globally. Moon Jae-in also stepped onto the North Korean side for a brief moment before the men walked together to the Peace House, a conference building on the South Korean side of the border village of Panmunjom where their much-anticipated meeting took place.